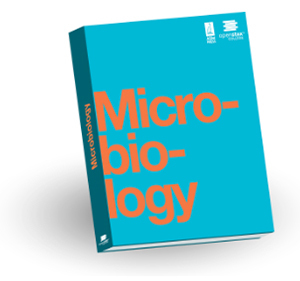 OpenStax College, the Rice University-based publisher of free, peer-reviewed textbooks, has partnered with the American Society for Microbiology (ASM) Press to produce a new introductory microbiology textbook. The new textbook is scheduled for release in spring 2016 and will be available for free online or at low cost in print. This is the first collaborative publishing agreement for both publishers. “ASM Press and OpenStax College will work together to recruit lead content authors and reviewers, and ASM Press will also provide editorial guidance and interactive media content,” said David Harris, editor-in-chief of OpenStax College, in a prepared statement. The textbook will align with ASM's latest curriculum guidelines, which the organization "adopted in 2012 in response to the American Association for the Advancement of Science’s “Vision and Change Report,” which recommended sweeping changes to biology and life sciences curricula based on input from thousands of life sciences educators worldwide," according to information from Rice University. OpenStax College first launched in 2012 with two titles. The publisher now offers 10 titles for introductory physics, sociology, statistics, anatomy and physiology, biology, precalculus, economics, United States history and psychology. In addition to Microbiology, the publisher plans to add 10 more titles by 2017 and eventually offer textbooks for the 25 most attended college courses. So far, OpenStax College's textbooks have been used in more than 1,600 courses worldwide. OpenStax College makes all of its textbooks available for free online or at low-cost in print with the help of philanthropic gifts from major foundations, including the William and Flora Hewlett Foundation, the Laura and John Arnold Foundation, the Bill & Melinda Gates Foundation, the 20 Million Minds Foundation, the Maxfield Foundation, the Calvin K. Kazanjian Foundation, the Bill and Stephanie Sick Fund and the Leon Lowenstein Foundation. Further information about OpenStax College's open education resources can be found on the OpenStax site.